My wife and I are both fans of the show “Elementary” which, if you don’t know, is a modern-day take on Sherlock Holmes in New York. Last week, the opening shot was a close-up on the inside of the rim of an elaborate bowl. To me, it was instantly recognizable, although I meant it as a joke when I said to Barbara, “It’s the Stanley Cup.” I actually thought it would be just an antique bowl, and I was curious to see how much it resembled the bowl atop the Stanley Cup. Then, they pulled back, and it was the real thing. I’m not sure how this bit of product placement helps sell fans of TV mysteries on hockey, or helps sell hockey fans on this particular TV mystery (especially given that it runs on a network that doesn’t carry NHL games). And it didn’t really have anything to do with the plot, but it was still kind of neat! 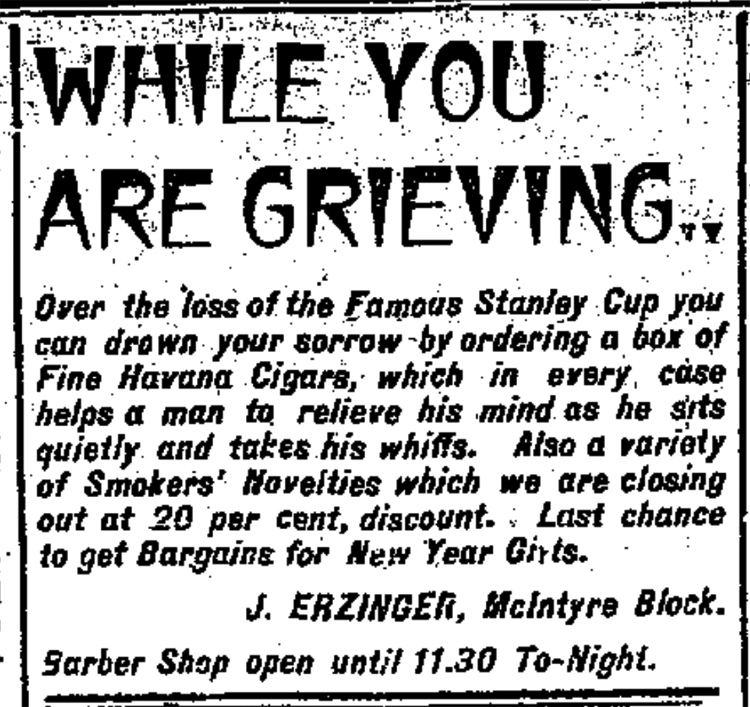 As it happens, using the Stanley Cup to sell products that don’t always seem like a natural fit has been going on for a lot longer than you probably think. Almost since the very beginning of the Cup itself. When the second edition of Total Hockey appeared in 2000, I had a story in it arguing that the 1896 Stanley Cup rematch between the Montreal Victorias and Winnipeg Victorias, played in Winnipeg on December 30 of that year, was the moment that made the Stanley Cup. 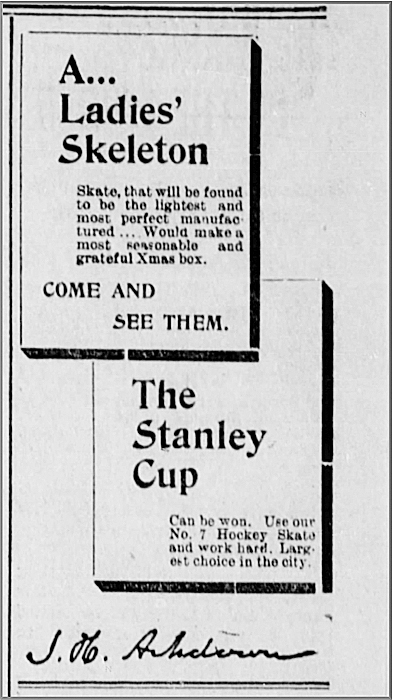 Before the Winnipeg Vics came east to beat their Montreal counterparts on February 14, 1896, the Stanley Cup had hardly attracted any notice beyond the stretch of country from Toronto to Quebec City and was probably all but unknown to anyone but hard-core hockey fans. The win by Winnipeg, and the subsequent attention when Montreal challenged and won it back, made the Stanley Cup national news. Apparently, it also made it good sales copy. So it would seem that more than 100 years before Winnipeg fans made “the whiteout” famous in the 1990s, certain citizens of the Manitoba capital were already capitalizing on their hockey heroes! 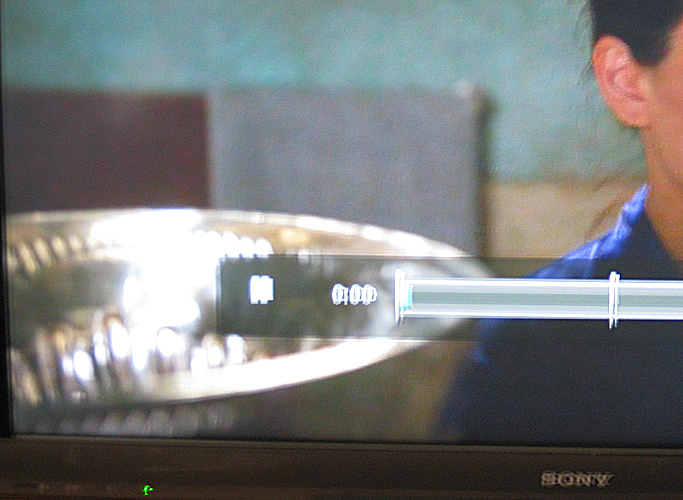 I too am a fan of Elementary and when I saw the opening scene, I wondered if it was the real Stanley Cup; I thought it had to be a replica. And there is was again in the closing scene. I was wondering if you would write something about it and you didn’t disappoint. Good stuff! The article was really interesting. I do not watch “Elementary” (it is too forward thinking for me as I am a Traditionalist when it comes to Sherlock Holmes! Give me Benedict Cumberbatch any day….but I digress). I think using the Stanley Cup was a great idea!